Being Baba: Yes, baby fashion is a thing! On Saturday night, in a true celebration of empowerment and legacy, some of the film industry’s most illustrious names sashayed down the ramp along with their sons and daughters. 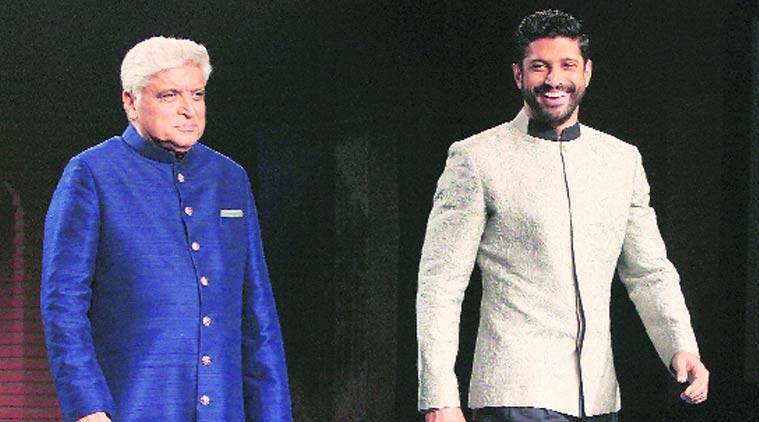 The show, held at Grand Hyatt, saw the Bachchan family (without Aishwarya Rai Bachchan), Shatrughan Sinha with Sonakshi, Sonam and Anil Kapoor, Javed and Farhan Akhtar walk for Manish Malhotra. The designer was presenting for Mijwan – The Legacy, an annual fashion show he organises in collaboration with The Mijwan Welfare Society, an NGO founded by the late Kaifi Azmi, now helmed by his daughter Shabana Azmi and Namrata Goyal. For his collection, Malhotra interpreted chikankari with a modern twist, using floral patterns and appliqué on flowy lehengas, saris, crop tops for women, and structured bandhgalas, kurtas and bandikurtas for men. The colour palette ranged from soothing ivorys and pastel pinks to powder pinks and fiery reds. The designer had adopted the Kaifi Azmi Sewing and Embroidery Centre in Mijwan, Azmi’s birthplace in Uttar Pradesh, to help generate employment opportunities for women four years ago.